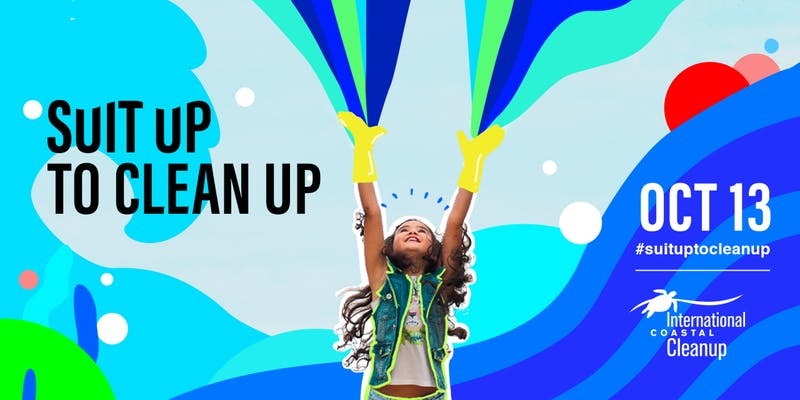 RSVP for Washington, D.C.'s International Coastal Cleanup on Kingman Island on October 13th, 2018! Registration opens at 9:30am to volunteers at the entrance of Kingman and Heritage Islands. An International Coastal Cleanup tee shirt, breakfast snacks, coffee and drinking water will be available free of charge to volunteers when they arrive. Please bring a reusable water bottle to stay hydrated! After a short speaking program, volunteers will pick up the provided gloves and trash bags from Ocean Conservancy staff and disperse across Kingman and Heritage Islands to collect and record trash items. After cleaning, volunteers meet back at the clearing to enjoy a free lunch, live music, and a raffle. Kingman Island is accessible at Lot 6 of RFK Stadium via The Main Entrance Trail. Capital Bikeshare, Blue-Orange-Silver Metro, and the H st Street Car all have stations nearby the trail entrance. We will have a shuttle bus running back and forth between the Stadium Armory metro station and the lot from 9am to 1pm. We recommend that volunteers wear close toed shoes and dress for warm weather! Bring a reusable water bottle to stay hydrated at the cleanup. We will have water available on-site for refills. Make sure to check the forecast before heading out so you come prepared, but we will be cleaning rain or shine! We will have some sunscreen and bug spray on site, but we recommend applying before you arrive. We will have all the supplies you need to cleanup--grabbers, trash bags, gloves--but please feel free to bring your own.